Maxis: The lantern is a vessel for energy, the energy contained within all matter. You must find a method to manipulate the power of the undead. Their energy will provide vital fuel for the Lantern. Lest you feel corruption from the errant energy, you may need help from a soul already bound to this realm. These quotes can be heard during the Lantern step. On Richthofen’s side, one must kill Witches that would release some kind of energy that would fill the Lantern. On Maxis’s side, however, one must kill zombies around the Lantern, releasing some kind of energy as well capable of filling the Lantern. In order to gain this energy, the players cannot kill the zombies theirselves but they must use Arthur or one of the buildable traps. According to Maxis, this is to not being corrupted by the errant energy. So why does Richthofen need pieces of souls of the projections of the Witch, while Maxis needs the souls of the undead. Actually, do the zombies still have a soul? Richthofen says that departed souls, the souls of the dead, leave energy in their physical corpse. Maxis speaks of energy contained within all matter, and energy contained in the zombies (“the power of the undead”). I don’t think we should speak of souls at all. The souls are already departed, gone to another place, the energy is what is left behind. This kinda contradicts the lyrics of Shi no Numa’s musical Easter Egg, the One, in which is made clear that the remnant of the mind of a zombie has a great desire to end their eternal damnation and find rest/to die, which seems like they still have a soul. This is not the case. Well, it isn't technically true that brains are all zombies have, as they are known to continue walking headless until they collapse from bloodloss. So the secret to their reanimation, I would think, is the 115-infused blood. Zombies' circulatory systems are jumpstarted via the brain by the 115's radioactivity, and then maintained as the 115-infused blood continues to pulse through the brain. What you're thinking of is the control nodes, if you will, devices and places like the MPD which have the ability to use the Aether as a conduit for communication. But that communication, like all other radio forms, can only be utilized if the frequencies that it uses are not blocked or receiving interference. An EMP, an Electromagnetic Pulse, basically creates an explosion of electromagnetic noise that blocks radio waves and fries circuitry. So as long as the pulse is active, the controller cannot communicate, as the frequencies are all blocked by radio noise, and the zombies lose their primary motivation to continue pursuing anything in particular. Richthofen: All this talk about energy, it’s so vague, ja? Its best not to worry about it. Just think of the big ones, positive and negative, north and south, light and dark, good and evil. Richthofen gives us the intel that there is more than one sort of energy, which might explain why he needed the Witches’ one, while Maxis needed the undead one. Positive and negative energy. Light and Dark energy. Good and Evil energy. This must have ties with Agartha and the Dark Aether, the Keepers and the Apothicans. Enlighted and corrupted. About this I have little to say, but I hope this topic will spark a discussion in the comments. Maxis: These devices, embedded in the earth, they amplify and project energy. We cannot allow Richthofen to exploit their power. The Amplifiers are devices embedded in the ground, which seem to harvest the energy in the soil. I think the source of this energy might be the Rift, as the Buried Mining Town is located near to it. They amplify energy, eventually projecting it in the dimension around it. In Richthofen’s side of the quest, you must power up these devices even more with the Paralyzer. As the Paralyzer projects Aetherial energy (the same type of energy the Which releases in the Lantern, as the Witch is immune for the Paralyzer and the purple smoke it leaves looks the same as the Paralyzer’s electromagnetic ray), the energy the Amplifiers conduct must be Aetherial as well, hence I think it origins/has ties with the nearby Rift. What we can confirm with this as well, is that the Aetherial energy is electromagnetic. Richthofen: Maxis calls it a wisp. Its really just a ball of life that’s imprisoned in this place for all eternity. Probably best not to dwell about what it really is. It will make you so sad. Maxis: The Whisp’s life force has been exhausted, but further energy is required. I had hoped it would not come to this, but it appears we must manipulate time itself in order to supply sufficient energy to the tower. The part “so many games” intrigues me. Is every game we ever played one other version of this attempt? Are “the others” we self, Victis? Is that why Stulinger is instructed not to think about it, because it would make him sad? This ties in perfectly with our next part. Richthofen: I dont want to get you upset or worried, but it seems that somewhere along the way, we accidentally tore a tincy-wincy hole in the fabric of time and space. Like I said, it’s nothing to worry about, but you need to cross your own timeline in order to put things right. Can anyone find out at what point in our game this tear in space-time is created? Interesting thing is that Element 115 is actually the fabric of space-time, the building brick of the multiverse. By messing around with the Aetherial energy previously, we might have changed something. To fix this tear, Victis had to travel through time, finding their own dead bodies. Are those versions of them in a earlier timeline/game, where they failed? Because the Timebomb is only capable of travelling BACK in time, and not to the future. So this cannot be Victis’ future, it must already have happened. I wonder, though, if the tear might have been observed by higher forces, or if Richthofen perhaps intentionally created this Rift in his race to ultimate power. Richthofen: Finally, I am in control. The aether is mine to manipulate as i wish. The world is now my own personal plaything. With Richthofen in control, Samantha’s soul will be condemned to eternal damnation. Eternal damnation most likely stands for beneath existence. In other words, the Dark Aether, or Hell. The following quote is a part of a theory by Faust, but since I couldn't find the thread anymore so I can't link it, I have copy/pasted everything. Let's say that your graph is you atom as they pass through a teleporter. You want to make a copy of yourself, in other words, you squared... See where I'm going with this. Now, your atoms as they pass though will gradually loose mass before hitting that absolute zero. Now, there is no absolute zero mass in our reality. Instead, you will poke a tiny hole in space time as it warps around you to form a zero point where you no long exist. Think equationary explosive decompression. Black holes. You will be sent to an absolute negative space where the rules of physics don't apply. This is aether. Nothing exists but yourself and the other beings trapped there. Because when you were sent in energised, the universe will still want that energy you left with and will attempt to pull you back through into our world instantly. You would not even be in aether a second, as you are pulled though so fast and time would have no meaning at that zero point without space-time anyway! 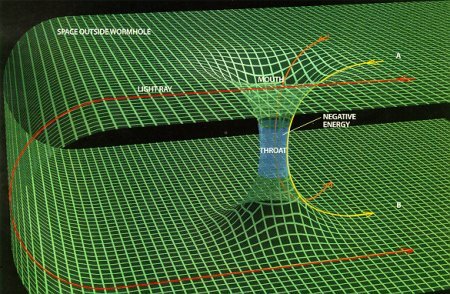 Additionally, as space and time are both woven into eachother, you could be thrown out of time aswell. The only way you could escape is if some time in the future someone would poke an exit hole in time. Now here comes the trippy bit. Parabolas can be altered. If you already have a set y-axis, like say if at the time of testing the teleporters they tried aiming them with a frequancy, your axis you be moved. Your zero would not hit zero, but eather a Y-axis or an X-axis, but that remaining energy would fry you once you left space-time. That is why the first subjects in the teleporter got turned into goo. That is also what the teleporters could not be directed with the Gerche and the red teleporters. It looked like the Die Glockes could be aimed, but in fact it was because the mainframe was the only exit point connected to them, and space-time just immediatly pulled them through the nearest point. Also, if the amount of atoms is multiplied, like if you were to add people, the more energy you would have coming out. Meanwhile, if you have only fractions to work with, like say with fractions of atoms created from nuclear half-lives, there would not be much energy coming out. As the zombies ARE created via radiation to 115, that could explain why zombies could not teleport in the Gerche and MDT, but as all the zombies in Five were fresh, they could with the red teleporters. Meanwhile, an entity that could alter it's energy (hellhounds) could free itself from aether and pull themselves through holes in space time. Say the plasma in lightning strikes or static energy you get in clouds. Seeing as fog is a type of cloud, that would explain why the fog comes in before a hellhound round. But the thought of an absolute zero bothered me... A living purgatory and if you were to say that the afterlife was a connected... That could mean that aether could also be a portal to hell. I guess that is where Samantha is stuck in. An interesting thought is that when Maxis wins the Black Ops II Aftermath, Samantha's soul is taken to Agartha. Whether this is the same place Richthofen condemns her to, I don't know. Maxis: The process has begun. Now I control the Aether’s energy. I can at last reach Agartha. Energy again. It is all about energy.I do believe this is the key concept during our entire story. But what exactly does it includes? It is electromagnetic in origin, but do you know the human brain and neuron system are in essence electronic as well? Electricity is not merely a technological thing. On top of this, mysteries forces have always interested us, forces known as Aura's, Chakra's and many more. I personally speak the truth when I say I can see Aura's when I focus myself....a bit. Merely the energy, not the colour-thing. And when you are tired and stretch yourself, what is that feeling streaming through your arms? There are weird feelings and forces all around us and within us. The Aether's energy might have been based on such thing. "It is the transformative power of 115! It draws energy from matter, living or dead!" So is Element 115, what seems to be merely the crystalline structure of Aether, capable o converting matter into Etherial Energy? I also took a better look at Maxis' 115 Conversion Generations at Excavation Site 64, and it seems like the device draws Etherial Energy from the air and converts it into liquid Element 115. This proves that Etherial Energy is all around us, a dimension beyond our perception but nontheless existing. Or could the Generation merely capturing Element 115's radiation at the Verdun area (as the mines there include the element)? It somehow reminded me of the Zetsubou Temporary Power System, where the player gives a plant 115-infected water, and the plant converts it into energy.